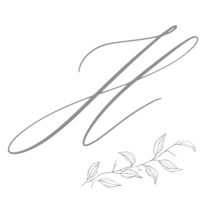 Heirbloom Design is an artisan floral design & event-planning studio serving the greater Pacific Northwest. Christmas is just around the corner and I can’t help but feel more excited than ever, regardless of not getting a single Christmas gift bought yet (yikes). This will be our first Christmas with our 11 month old, Greyson, and the joy it brings my husband and I is unexplainable. Just about this time last winter I was 8 months pregnant planning and designing for three December weddings! It was quite the undertaking, but they were some of my favorite weddings of the season. Working with Petra and Chris was such a pleasure because they truly put their trust in our work. The wedding took place at an urban venue in downtown Portland called The Evergreen. This unique space gives couples a blank slate to work with that can dual as a ceremony and reception space. Using a neutral color palette of blush, champagne and ivory created a timeless and romantic atmosphere. Lush green garlands along with candle lights at every corner really set the tone for a warm and inviting environment. The day was perfect and I hope to work with more winter brides in the future, they truly are so romantic and joyful!